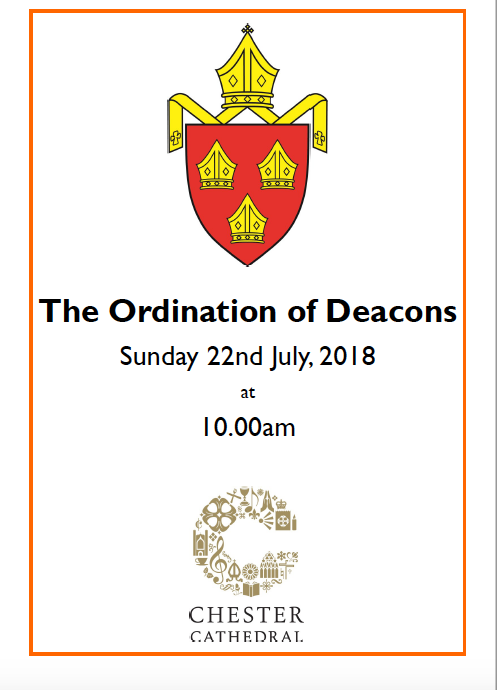 Congratulations to 18 ordinands who were ordained as deacons in Chester Cathedral this Sunda,y 22nd July 2018. Included in the 18 were two of our own – one who leaves St Mary’s and one who joins us. 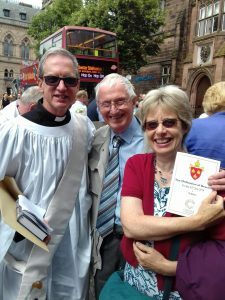 Congratulations to Reverend Richard Avery, a member of St Mary’s, who goes to serve his curacy at St Hilary’s, Wallasey. We pray for him and his family (who will continue to worship at St Mary’s). 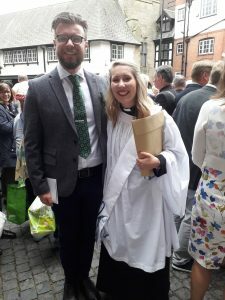 Congratulations to Reverend Steph Lester, who comes to St Mary’s to serve her curacy. Here she is with fiancé Harry Warrell. Welcome to them both and our prayers for them both.